Originally published by the Primary Care Unit, University of Cambridge. 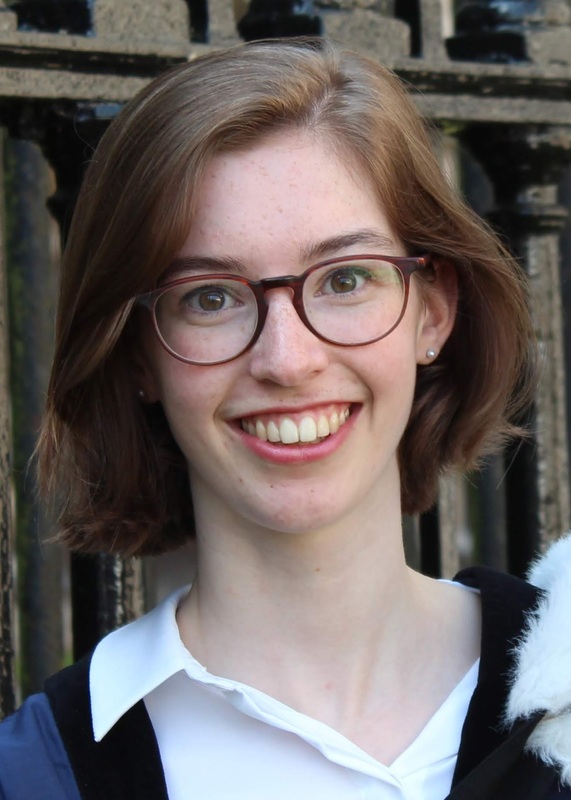 Rachel Fox, medical student in her fourth year at the University of Cambridge Clinical School, describes her experiences exploring academic primary care and explains how medical students can get involved. Rachel was awarded the Novice Presenters prize at the Society for Academic Primary Care conference in January 2019. 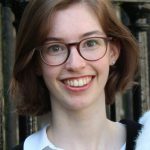 Rachel has also been in the news for winning the Novice Presenters prize at the Society for Academic Primary Care’s Madingley Hall conference on 24th January 2019. She explained that the presentation, titled “The views of women with gestational diabetes on post-partum screening for type 2 diabetes: the role of concern about diabetes as a barrier and facilitator”, was developed with the support of her Prevention Group colleagues, including Professor Simon Griffin, Dr Juliet Usher-Smith and Becky Dennison. “Hi, my name is Rachel Fox and I’m one of the fourth year medical students,” is my catchphrase as I amble through Clinical School. As part of my studies, I have been involved with the Primary Care Unit (PCU) at the University of Cambridge for a year now. First, I chose the GP and Primary Care Research module in third year for my BBS minor option, then I worked within the Prevention Group at the Primary Care Unit on a systematic review and qualitative research synthesis. The BBS course made up 20% of my third year of medical school. 80% of my time was spent studying physiology, focussing on the biology of placentas and babies, including delving into obscure literature about pre-eclampsia for my dissertation. The GP 20% was entirely separated from my physiology work, in terms of subject matter and geography. My three course-mates and I cycled out to the Institute of Public Health (IPH) together for the first term, where we learned new methods to answer the endless questions of primary care, which we realised apply to any other part of clinical medicine. From qualitative to quantitative methods, cohort studies to complex interventions – we whistled through them all. We were taught a method at the beginning of the week and were discussing and critiquing examples by the end. We were fortunate to be taught by group leaders at the PCU, exposed to the breadth of their backgrounds: GPs, nurses, physios, psychologists, social scientists and the diversity of topics they work on. In the second term, we each chose a research team to be attached to. I chose the newly founded The Healthcare Improvement Studies (THIS) Institute. I was instructed in more focussed reading on healthcare improvement subjects and methods and I had one-on-one supervisions to discuss the week’s reading. Then, aside from a wee exam in a ludicrously large exam hall (the four of us with literally hundreds of empty seats), we were done. I wanted to learn more about academic GP: Dr Benson, the course organiser, introduced himself as an academic GP at the course fair in second year and that was the first time I had ever heard of the term." The GP course was the highlight of my third year. I was drawn to its pragmatism and usefulness. The extra year to get an undergraduate degree is not replicated at all other medical schools and I can say with certainty much of the cutting-edge physiology I studied will not trickle down into my clinical career. But the stuff I learned in the BBS course is bound to be useful. Also, the small nature of the course was a massive bonus, in what was otherwise a somewhat isolating year, and I met some of my favourite medics through it. So, BBS had ended, but I didn’t want to leave just yet. I emailed Dr Benson to ask if there was some way to carry on. He asked around on my behalf and through Juliet Usher-Smith I began to work with Becky Dennison – a PhD student in the Prevention Group. Becky was doing a systematic review and qualitative synthesis of the literature about why women who have gestational diabetes (GDM) do or do not attend screening for type 2 diabetes post-partum. Women who have GDM have a seven times greater risk of developing type 2 diabetes later in life and screen-detected cases of diabetes have better outcomes than clinically detected cases. So, understanding what affects screening attendance can help us to encourage it. Beginning in April 2018, Becky and I worked together to screen papers for inclusion, code the papers and quality assess them. I have written a section of the results on how a mother’s concern about diabetes can act as both a barrier and facilitator to screening attendance, and we developed recommendations to address this. Throughout Easter term I spent one morning a week at the IPH. Then in July I started to work remotely – from my home in Edinburgh over the summer and from hospital accommodation on dingy nights in Stevenage during the autumn. We expect the resulting paper to be submitted for publication early in 2019. I’ve already seen Becky present our work at the School of Primary Care Research conference in London in November; and I presented the work at the Society for Academic Primary Care (SAPC) conference in January 2019." This work has been such an excellent experience: Becky, Juliet and Simon Griffin (Professor of General Practice and Prevention Group lead) have been super – from their willingness to have me in the first place, to their support for me to present this work at the 2019 SAPC conference. The flexibility of the project enabled me to remain involved despite the geographical and time constraints of placements. Finally, the subject was so ideal for me: it has enabled me to explore qualitative literature and consider more closely how we communicate about screening and how we convey risk. I’ve become a little bit obsessed with GDM: I have been seeking out experience in the clinical side in Addenbrookes and Stevenage and I’m currently working on an SSC with the Department of Obstetrics and Gynaecology on the topic. Through the PCU I’ve learned how to critique papers, take part in secondary research and how to prepare a presentation for an academic audience. Medical students have opportunities to connect with the PCU through the GP, palliative care and professionalism teaching at Clinical School as well as through optional components such as the BBS course in third year, our student selected components (SSCs) and the newly created Medical Student Systematic Review group. I would encourage other medical students to get involved with the PCU – they work on important and common conditions that affect vast numbers of our patients. Rachel Fox contributed to Becky Dennison’s PhD research project, which is funded by the School. A team from Keele University’s Research Institute for Primary Care and Health Sciences has been awarded a major grant of £1.5 million from the National Institute for Health Research (NIHR) to investigate if an occupational health advice service for patients consulting with their GP will reduce absence from work due to ill-health.